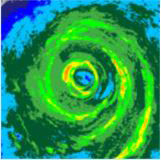 Is Global Warming Affecting Hurricanes? We are extremely pleased to have MIT Prof. Kerry Emanuel, an internationally recognized expert on hurricanes, to address our annual meeting. Analysis of historical records of hurricane activity reveals large variability from one decade to the next. How much of this variability is random, how much can be said to be part of natural regional or global climate fluctuations (such as El Nino), and how much is tied to man-made global climate change? These are important questions, as their answers bear on the pressing question of how hurricane activity might change over the next century. Dr. Emanuel will review the evidence that hurricane activity is closely linked to sea surface temperature and then examine the various environmental processes that cause sea surface temperature to change, focusing on the role of human-induced climate change. 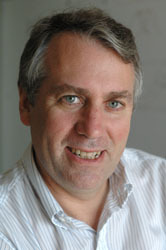 Dr. Kerry Emanuel received all of his degrees from MIT (BS in 1976 and Ph.D. in 1978) and subsequently spent three years as a faculty member at UCLA. In 1981 he returned to MIT joining the faculty in the Department of Earth, Atmospheric, and Planetary Sciences. His research interests focus on tropical meteorology and climate, with a specialty in hurricane physics. His interests also include cumulus convection, and advanced methods of sampling the atmosphere in aid of numerical weather prediction. He is the author or co-author of over 100 peer-reviewed scientific papers, and two books, including “Divine Wind: The History and Science of Hurricanes”, recently released by Oxford University Press and “What We Know about Climate Change”, published by the MIT Press.